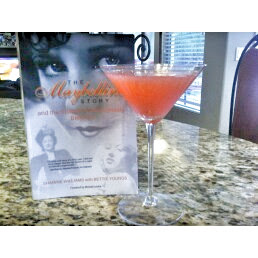 Thank you for following my blog the last three months since The Maybelline Story came out on Sept 27. I will continue to post 5 days a week starting on Jan 3, 2011. If you've enjoyed getting to know more about Tom Lyle Williams and the Maybelline company as well as the fascinating people behind it, please stay tuned for personal stories never revealed as well as vintage Maybelline Advertisements and family pictures. Tell your friends about it too!